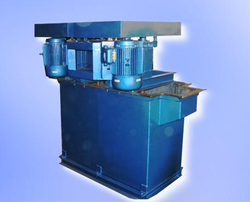 Deals in crushing equipment, mineral beneficiation equipment and separating equipment. 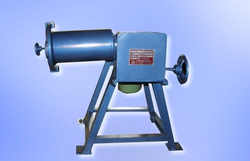 Designed for fine grinding of feed of different sizes of minerals by friction and impact. Fast grinding with no loss of sample. Widely used for assessment of mechanical properties of a mineral - mechanical strength (resistance to crushing) and mineral grindability. 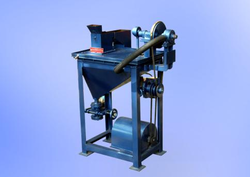 Designed for continuous separation of mechanical mix of minerals of different specific gravities, within their feed size range. 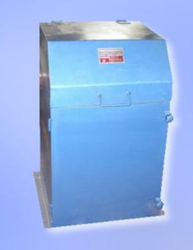 This Riffler/splitter is designed to reduce bulk samples with a relatively large particle size before further preparation or analysis. For separating the particles of different specific gravity, size and shape by placing them on screen through which a fluid pulsates alternately. 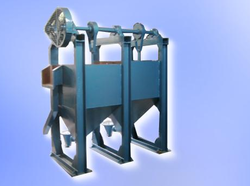 Single or Double format, used for medium or fine crushing of minerals in the sand making, ore dressing, metallurgical industries. Attrition Scrubbing is a process where a mineral is scrubbed by the action of one high speed slurry flow impacting on another. Operated by giving the screen a circular motion in the vertical plane with a definite forward motion. Built for screening rocks, minerals and stones. Separating the solid particles in a liquid mixture into fractions according to particle size or density by using different settling velocities. 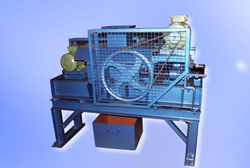 Key equipment for grinding various ores and materials, widely used in powder-making production line (dry/wet type). Uses an agitator construction to provide a triple mixing action ensuring fast, efficient blending of dry granules & powders homogeneously. This provides fast and accurate sub-division of minerals and granular samples. Customized for throughput rate, sample size and division ratio. Mineral separation by flotation in water medium. Customised for superior performance; aeration, mixing, froth manipulation and recovery. The Pelletizer creates pellets/balls from an amorphous mass of finely divided particulates, such as dust, in the presence of water or binder. Tray VibroScreens use wire mesh or perforated sheets for carrying out 'size based' separation of mineral -coarse as well as fine sizes. For separating the particles of different specific gravity, size and shape by placing them on screen though which a fluid pulsates alternately.